The port of Gdansk, once The Free City of Danzig lies on Poland’s northern coast. The worn smooth streets and colourful architecture of the historical Old Centre attract tourists annually and Late May/Early June was no exception. The light nights and sunny days give this antique town a blissful feel of peacefulness although it was once the opposite. This coast was the very starting place of War in Europe in September 1939. We arrived on the Polish Coast by Gdynia and Sopot via train from Scezezin (Stettin) and then continued onward to Gdansk. Our train was an enjoyable 5.5 hour journey through the lush green Polish countryside. A second class ticket to Gdansk will cost roughly 50zloty which is the equivalent of £10. We’d come to Poland from Germany so the train ticket seemed extremely good value. Leaving Hamburg behind our first few hours in Poland began to seem like great value for money, after spending a few days in Germany’s most expensive city. 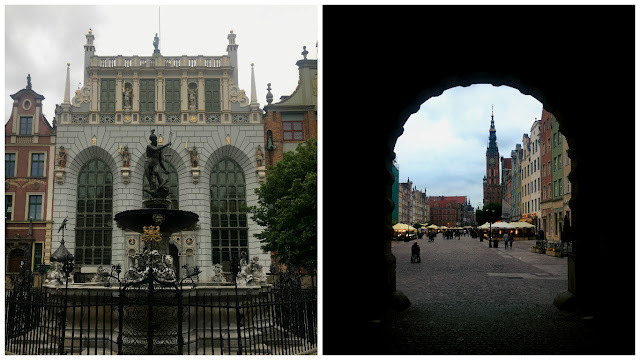 Gdansk and The Free City of Danzig would become our 3rd stop on a Baltics Road Trip. Originating in Hamburg and ending in Tallinn. 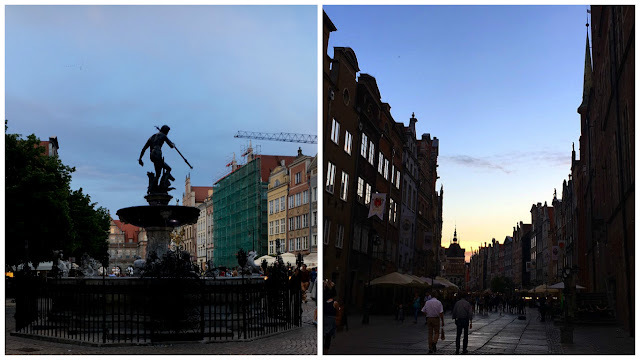 We’d heard many great things about the magical historic centre of Gdansk. Sandy coastline which is only accessible by ferry and of course, its stormy historical ties to World War Two. I knew I’d adore Gdansk long before I arrived simply because of its great significance. What is The Free City of Danzig? 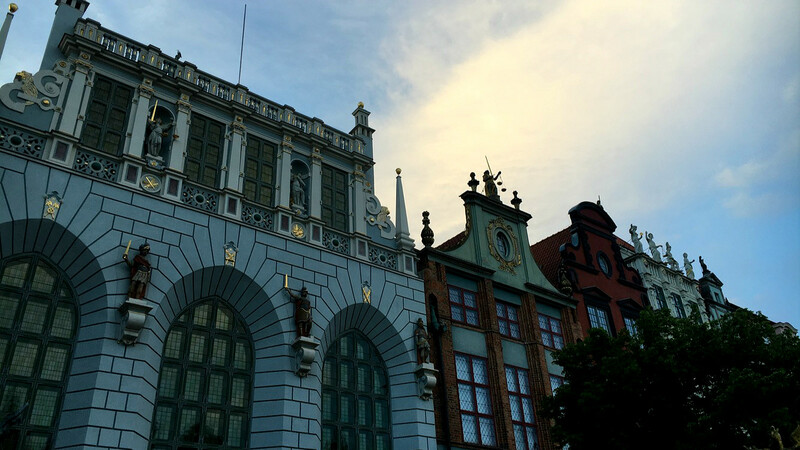 Gdansk is riddled with a captivating history and you only need to enter The Old Town for that to become apparent. The grand architecture, colourful buildings, towering church spires and worn streets tell a tale of a Baltic port city of the highest importance. 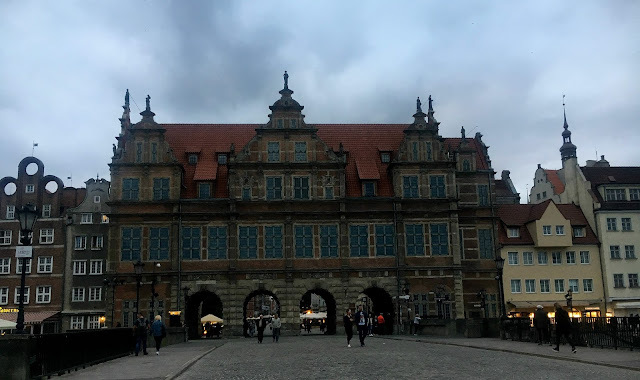 During the years after World War One from 1920 – 1939 Gdansk and the surrounding areas were known as The Free City of Danzig under The Treaty of Versailles. The sought upon port of Gdansk and The Free City of Danzig became one of the first places for Hitler himself to set his sights on prior to World War Two in 1939. On 1st September 1939 at around 5.00am, Hitler and his Nazi army fired upon the Westerplatte at The Free City of Danzig. This happened after Poland’s refusal to be annexed as part of the growing German empire. As Gdansk was once The Free City of Danzig and the very starting place of World War Two. We felt it was only appropriate to visit the World War Two museum whilst in the city. A museum that faced much controversy about its alleged ‘Polish bias’. For things to do in Gdansk head to the World War Two Museum. You will find the museum just beyond the waterfront. The building is large, angular and unmissable. You’ll know what I mean when you see the glass wall. Take the lift down to floor -3 to purchase your tickets. The ticket cost is 23zloty but for an extra 5zloty I insist you get an audio guide. We would’ve really struggled with the layout of the exhibition inside the World War Two museum without it. The addition of a guide really made our time much more educational. I find concentrating on reading each small plaque to be difficult in a dimly lit room. Although criticized for its ‘Polish bias’ I didn’t find it to be too obvious in Gdansk’s World War Two Museum. There are instances when the Polish influence on the war is mentioned more times than necessary. And there are some minor factual details that historians may find questionable. On the whole the timeline is accurate. The beginning of the exhibition inside the World War Two Museum gives an explanation of Europe after World War One. This has also been described as an “alternative introduction” as it largely focuses on Fascist uprisings around the world. Be prepared to jump from World War One to World War Two quite rapidly with little context. The World War Two Museum in Gdansk was a big highlight for me. I really felt it was an overall excellent experience and educationally important especially due to the location. 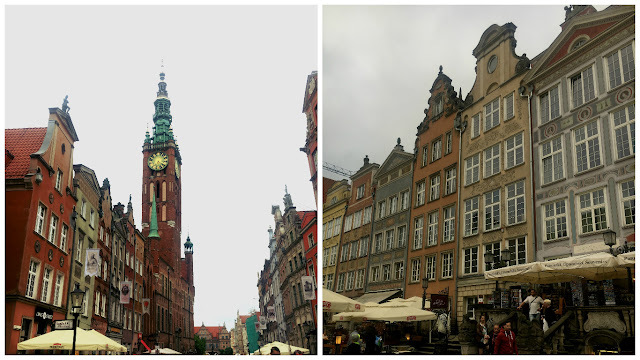 If you are visiting Gdansk it’s a must do. The displays were in perfect chronological order and I found the audio guide to be really informative. Not only did the museum focus on Polish history it highlighted the key events throughout World War Two. In my opinion, a visit to Gdansk would not be complete without a trip to The World War Two Museum. Expect to spend between 3-5 hours in the museum if you do it correctly. The main street in the old town is called ‘The Royal Way’. It’s an incredibly picturesque street with many great photo opportunities. All of the main and best bars and restaurants in Gdansk can be found down this main street. One of the best things to do in Gdansk includes exploring the historic old town and most of your time will be spent on The Royal Way. Early evening just before sunset when the streets of the old town are lined with tourists Gdansk becomes a world of its own. Everyone around you stops to appreciate the fine architecture coupled with each splash of vibrant colour on each building’s facade. During the early evening the bars and restaurants on The Royal Way begin to fill up. There is a buzz of ‘holiday’ in the air. Families meeting to eat, couples enjoying a meal and friends meeting up to grab a drink. The old town can be explored easily on foot. All the main sights are in walking distance from each other. St. Mary’s church is a must see attraction in Gdansk. The spires can be seen from all over the old town. The Gothic brick architecture of the church makes it one of Gdansk’s most notable buildings and definitely worth a photo or two. The church along with most of Gdansk was almost completely destroyed during World War Two, but has since been reconstructed. 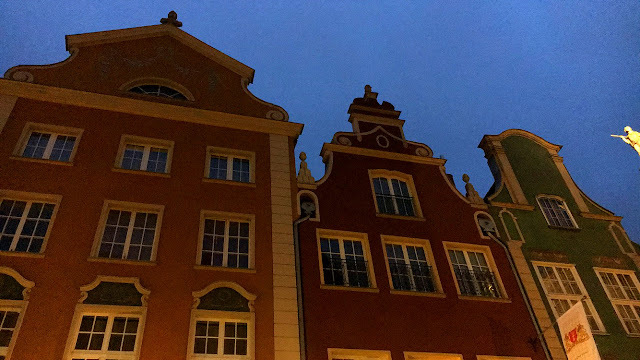 Speaking of architecture and The Royal Way, the majoirty of Gdansk’s buildings are colourful and bright with varying styles of architecture. The Royal Way itself is home to some of the most stunning buildings in the city and all the way from the top gate to the waterfront you’ll find perfect photo opportunities. 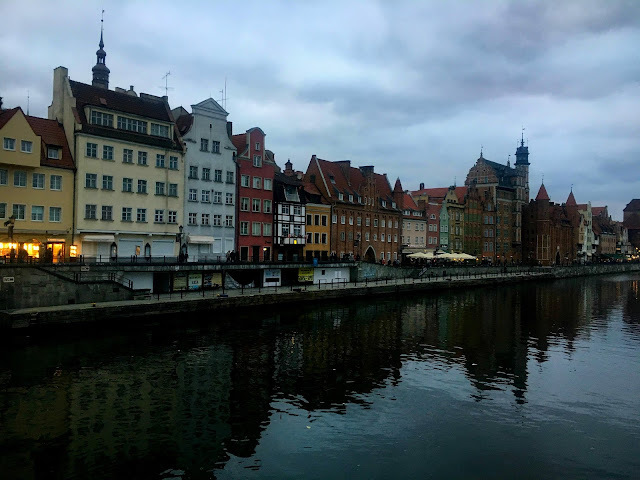 Besides The Royal Way a lot of the best restaurants and bars in Gdansk can be located on the waterfront along with lots of other tourist hot spots. You will probably want to spend an evening strolling this area and taking in the views from across the bridge. One of the most enjoyable things about Gdansk is the range of bars and restaurants available within the old town. The Old Town of Gdansk as very expensive. 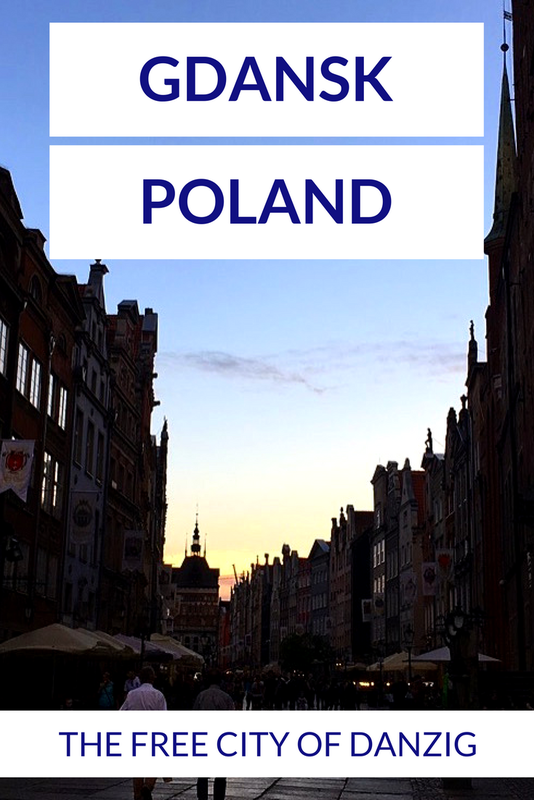 The average price for eating in Gdansk can range anywhere from 20zloty to 50zloty. Most of the time eating is cheap. 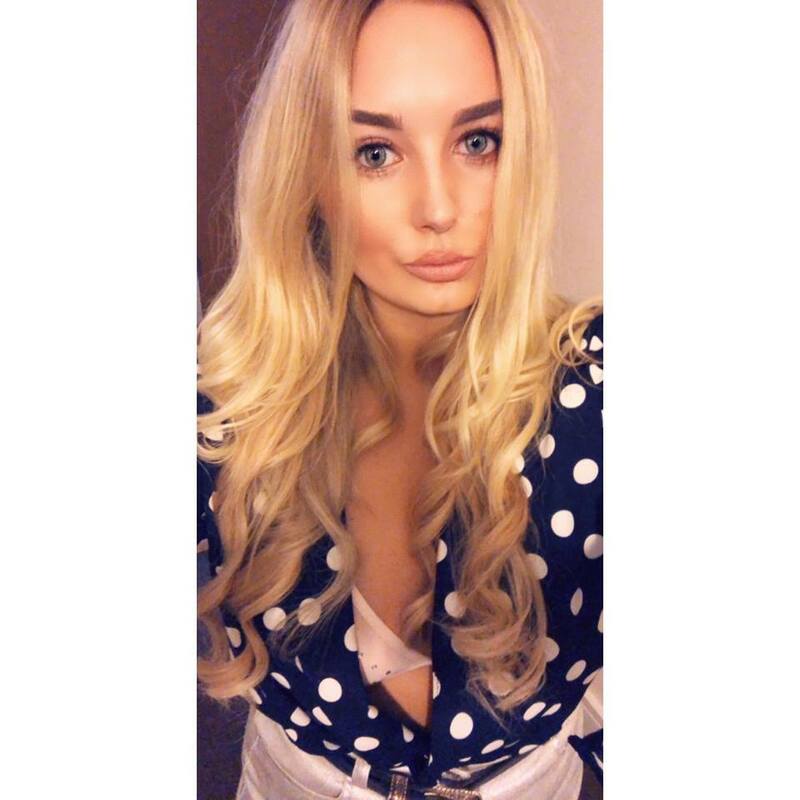 Don’t expect to pay more than £10 for a meal. Dinner for two with drinks can be very well priced if you stick to local alcohol. Look out for Original Burger. Where a meal deal (burger and sides) will cost around 25-30zloty. There’s the best outdoor seating and the service is great too! Many of the restaurants if not all of them in Gdansk have outdoor seating in the main street of The Old City. They all have outdoor heating too and blankets if you decide to visit Gdansk when it’s cooler like we did. For cheap drinks and an authentic Polish experience look out for No To Tick (Cyk) and Pijalnia Wodki i Piwa. (To me and you thats Pijalnia vodka and beer). These are both weird soviet themed shot bars that have dirt cheap vodka shots. There are many of these style bars around Poland. Although at first they seem slightly unusual they are usually a lot of fun and a great place to meet local students. 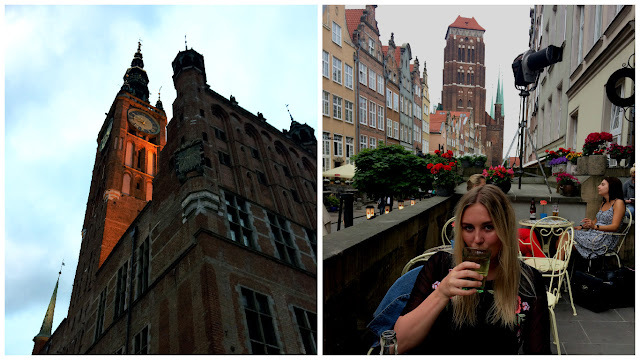 A trip to a vodka bar is one of the must do things to do in Gdansk and anywhere in Poland actually. We booked to stay at the Five Point Hostel which was around a ten minute walk from Gdansk Glowny (the main train station). A five minute or less walk from The Old Town and Historic Centre and a 10-15 minute walk from The World War Two Museum. The hostel is modern, clean and spacious with great facilities and a large common area. Look up Five Point Hostel when visiting the city of Gdansk. There are privates and dorms available all at a low cost. Getting around Gdansk is simple, you walk and everything is within walking distance. There are bus services that run from outside the train station if you wish to explore a little further from The Old Town, otherwise as mentioned The Old Town is completely pedestrianised. Frequent trains run from 5.00am onward from Gdansk Glowny the main train station. 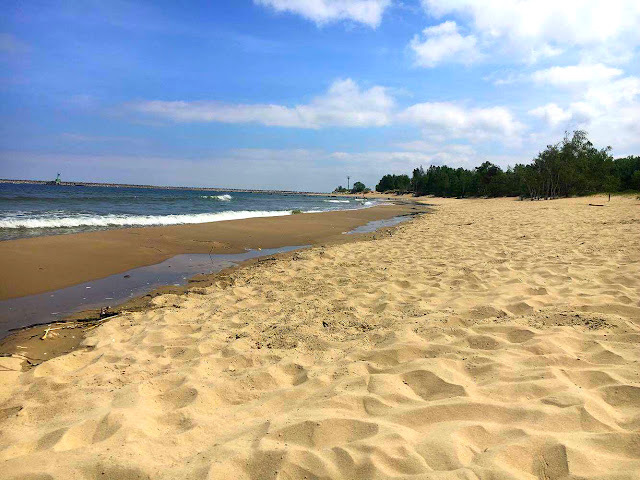 Day trips from Gdansk to Sopot and possibly Gdynia are often recommended and I really wish we’d found the time to visit Sopot’s pleasant waterfront. While in Gdansk many people choose to take the frequent ferry service to The Westerplatte. This is the location The Battle of Westerplatte took place. This became the iconic historical first battle of World War Two. Many people choose to visit this area to pay their respects and visit the large memorial. The ferries in Gdansk have been set up as part of an urban renewal project funded by the European Union. The aim is to have several efficient ferries running regularly to the secluded and difficult to get to areas. Each will have its own ferry stop. Stogi Beach is another popular ferry destination. During the warmer months many people take the hour long ferry journeys to Stogi beach, the stretch of sandy coastline up the estuary. It’s a really nice day trip and one of the highest rated things to do in Gdnask in the summer months. We did exactly that, and other than an elderly couple and some kite fliers we were perhaps the only people on the whole stretch of beach. Sopot is another of the most popular trips from Gdansk. We didn’t do this, but it’s a highly recommended trip from Gdansk and worth looking in to. The trains run frequently from Gdansk to Sopot and Gdynia so we didn’t really have an excuse not to do this trip. However, we sadly ran out of time. I’ll definitely add this one onto my Gdansk bucket list if I return. Just looked my very first trip to Poland, going to Krakow next month for a weekend! Considering putting Gdansk on my wishlist too, Poland ain't too far from good old Germany, and for a history buff like myself this seems like a must visit! Omg, now I really regret skipping Gdansk while we were in Poland last year. Everyone says to visit it, but after seeing your photos – dang, they were all right! 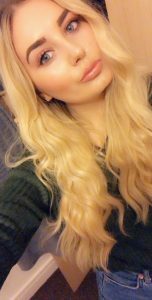 Love your photos and all the useful tidbit at this place! Will be bookmarking! 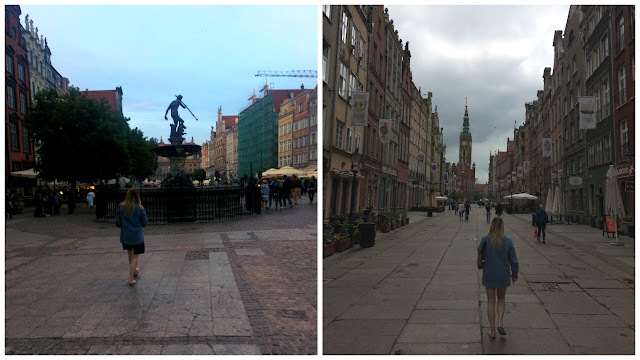 Gdansk’s Old Town seems to offer visitors a modern-day trip back to the Middle Ages. I heard that a majority of the streets are in the exact same places that they were in Medieval times 🙂 The city has plenty of authentic, historic buildings still stand ! You should definitely visit if you plan to spend any more time in Poland. I recommend adding it to the top of your list. In the summer months it can be the perfect temperature! You must do it! The city is a lot of fun with great bars, restaurants and attractions. There is probably a cheap train or flight from Krakow. Yes it certainly is – the colorful buildings make for a really spectacular photo too. Unfortunately, there was a lot of damage during World War Two so many of the buildings have been restored but the renovation has been done well so they still look very authentic.